We’ve gotten quite a few questions about the winner of the Vitamix 5200 vs. Vitamix 7500 debate, so we decided it was time to put together a precise comparison between these two popular models. aka "Classic Series" aka "Next-Gen Series"
The Vitamix 5200 was first introduced in October 2007 as a replacement for Vitamix’s flagship model, the 5000. The updated 5200 model came with several important improvements over the older model; a more efficient motor and a shatterproof BPA-free container. 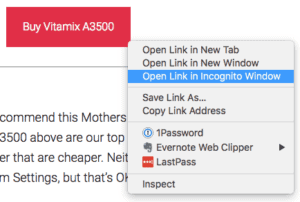 But, it has been over six years since the introduction of the Vitamix 5200 and quite a bit has changed in the world, so it was time for Vitamix to make some significant improvements to their flagship product. In January 2013, Vitamix released a newly redesigned blender, the Vitamix 7500 to the public and it has grown in popularity ever since. A few significant changes have made their way into the Vitamix 7500 that help to set it apart from the older models. You will find these innovations on both the exterior and under the hood of the new model, so let’s take a minute to review them all. In early 2017, Vitamix released their new line of Ascent blenders. While the 5200 vs 7500 debate rages on, there are new rivalries forming as we speak with the new Vitamix Ascent. We have a pretty good idea what the new debate will be, but we are waiting for more feedback. Please, drop a note below on what Vitamix blenders you’re comparing right now and that will greatly help us come up with our next great blender comparison. 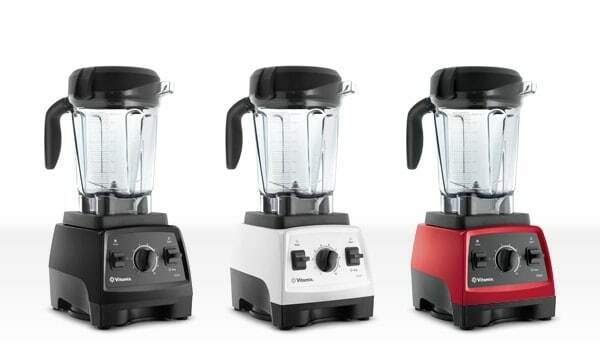 In October 2017, Vitamix released another new line of blenders called the Explorian Series. They launched the series with one blender called the E310. The raw specs of the E310 are very similar to the 5200, with the most glaring difference in that it ships with a short 48 ounce container. The big similarities are the 2.0 HP motor and the controls. The controls both offer Variable Speed Control, with very slight differences with Pulse (E310) vs High (5200). Functionally, most home cooks won’t notice the difference between the two control systems. Where it gets interesting is the price. For brand new blenders, the Vitamix E310 is priced much lower than the 5200, and makes it a blender to seriously consider. Much of the comparisons below between the 5200 vs 7500 are relevant by substituting “5200” with “E310”. The most apparent difference between the two models is the appearance. 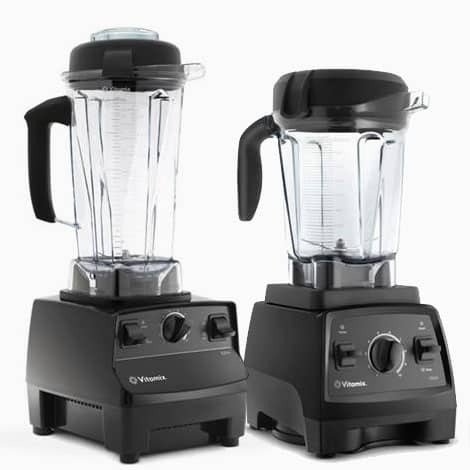 The overall design of Vitamix 5200 is tall and skinny, while the Vitamix 7500 appears shorter and wider. The redesigned container of the newer models makes up for the majority of the height difference, but there are some noticeable differences with the motor bases as well. 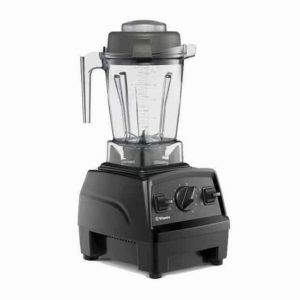 It’s difficult to find out exactly when the style of motor base used on the 5200 was first introduced (Vitamix has been selling blenders since 1937), but similar designs can be found as far back as 1992, used for the Vitamix Total Nutrition Center. After 20+ years, the Vitamix was due for a fresh look, and the Vitamix 7500 was the first of the main product line to feature this new design. These differences in design lead to a clear advantage for the 7500 when it comes to fitting in your kitchen space. The Vitamix 7500 is a full three inches shorter than the older Vitamix 5200s, meaning that you should likely have no problems storing it beneath your kitchen cabinets. See how the Vitamix 5200 stacks up against the Vitamix 7500 or other Vitamix and Blendtec models with our interactive comparison tool. The redesigned container of the Vitamix 7500 is a significant advancement over the 5200. The wider, shorter container of the 7500 allows more room for the blade and results in the blade diameter being a full one inch larger than that of the older model. The additional room at the container base gives ingredients more space to move around during blending, which leads to a smoother blend and also makes it easier to remove the finished recipe once blending is completed. 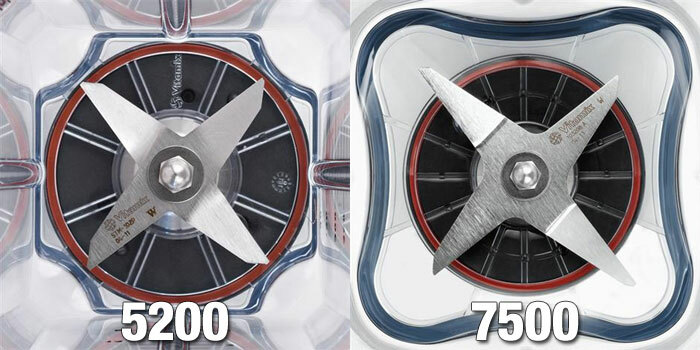 The next major difference between the 7500 and the 5200 is the increase in horsepower found in the Vitamix 7500. A slightly more powerful motor was added to the new model that adds an additional .2 horsepower to an already powerful 2 peak-horsepower motor. This difference may sound small, but this 10% increase is a significant addition. It means that you’ll be able to blend tough mixtures more smoothly, like nut butter, hummus, or thick smoothies and shakes. With the Vitamix 7500, there have also been some advancements in noise reduction. Special vibration dampening technology was used to make this new model 40% quieter than older models. This difference is significant, especially if you have a home with small children or pets, who are understandably agitated by the loud noise that a high-powered blender typically produces. 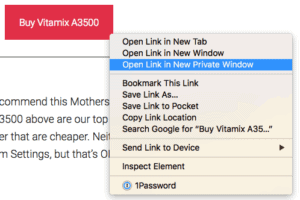 So far, it seems that everything is in favor of the new Vitamix 7500, but when it comes to total cost, the 5200 has the advantage here. Since the 7500 is a newer model, it does cost more than the older, Vitamix 5200. The comparable 5200 package will save you $80 over the cost of the new Vitamix 7500, and this can be quite a bit of money for most people. Read our full review of the Vitamix 5200 or Vitamix 7500 for more detail about each of these high-performance blenders. No matter which model you choose, be at ease knowing these are two of the most popular models Vitamix sells in the C-Series and G-Series. They are top of the line, well made, and designed to last a lifetime. There’s a great reason why they sell these two particular models by the truckloads. Truly, both are winners and there will be other reasons beside blender features and functions that usually makes someone choose one over the other, with price usually the deciding factor. If the extra money isn’t a factor in your purchase decision, I’d recommend going with the Vitamix 7500 without hesitation. The advancements of this newer model are a massive improvement over the six year old 5200. However, the money part of this equation can be a big hold up for some people. Spending an extra $80 on an already expensive appliance can be a bit hard to stomach. If that is the case, our recommendation is to take a look at the Vitamix Certified Reconditioned Next Generation model. This certified, factory refurbished package contains a nearly brand-new Vitamix 7500, Professional Series 300, or Creations Elite, all of which are essentially the same base model. You’ll also receive a brand new container, tamper, and recipe book set. The difference here is that reconditioned Vitamix models only ship with a five-year warranty, instead of the standard seven. A factory refurbished package can save $90 over the cost of the new Vitamix 7500, which for most, is enough to justify the purchase of the next generation model. Still not sure which Vitamix is right for you, read our full breakdown of all Vitamix models. Also come back to check on our progress for other blender comparisons. If you haven’t made up your mind that Vitamix is the right brand for you, check out our Blendtec vs Vitamix comparison. If you have any comments or questions, feel free to add them in the comments section below. I currently have a Vitamix 5000 model, which originally came with a dry and wet container. I am now looking to purchase a new Vitamix, and I see that they only come with one container now. Will the dry container that I currently have fit any of the new models? I am looking to buy either the 7500 model or the 5200 model. The Vitamix 5000 belongs to the Classic series of Vitamix blenders (they recently changed their series names though). The 5200 is also a Classic series so both containers should work without issue. The 7500, it’s a Next-Gen series of blender. It’s OK to use the Classic series dry container, but the wet container is discouraged. To be absolutely certain before purchasing your new blender, send an email to: service@vitamix.com, and they’ll give you a definite confirmation. Could you use the 32oz Dry Grains Container for liquids? I’m asking because we don’t have a lot of counter space to keep both container out. And it’s a short vertical space. yes, you can use the dry container for liquids, but it’s not recommended. The blades in the Standard Container pull food down through the blades during processing. Conversely, the blades in the Dry Grains Container push foods up and away to keep the grains from compacting. Can I use a 5200 series machine and get a shorter container? The 5200 comes in several different versions, with the most popular shipping with the Classic 64oz container. But there are versions that also shipped with the shorter 48ox container. You can tell which one you currently own by looking at the graduated markings on the side of the container on how many oz’s it can hold. 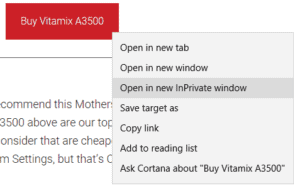 Keep in mind, you can use any of the Vitamix links (even ones for a Blender), and still get Free Shipping for accessories like Containers. I have a 5200, but I’d like to upgrade to a quieter one. The the 7500 a good choice or is the 750 or 780 better? do the 7500 models have issue with black specks like the 5200 models did?